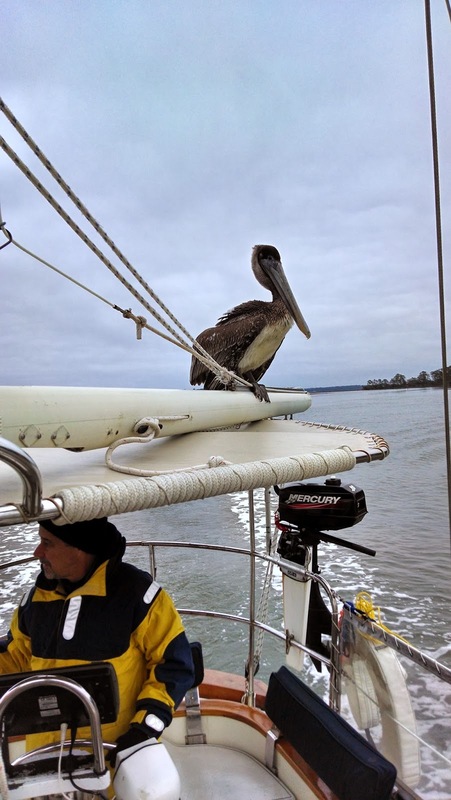 When we are sailing, we see many different kinds of birds. They are all very interesting, but some even more than others. Some we see all the time, but some are rare. Here is what we think is a Yellow Crested Night Heron in the mud in Charleston (video at right). (The chirping noises are my dad, not the bird.) This is the only Crested Night Heron we have seen so far. 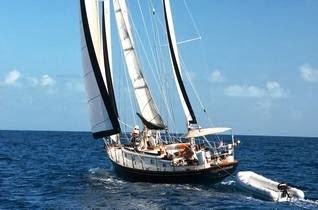 On the passage south from Savannah, my dad and Cash were on watch when my mom and we heard the call for us to come up. We were wondering why. for at least ten minutes while we motored along. Later we were at anchor in the Frederica River. It was very early in the morning when only my mother was awake. When we woke up she showed us a video of the bird she saw. I thought I had heard the bird in my sleep, and I had good reason to think that. 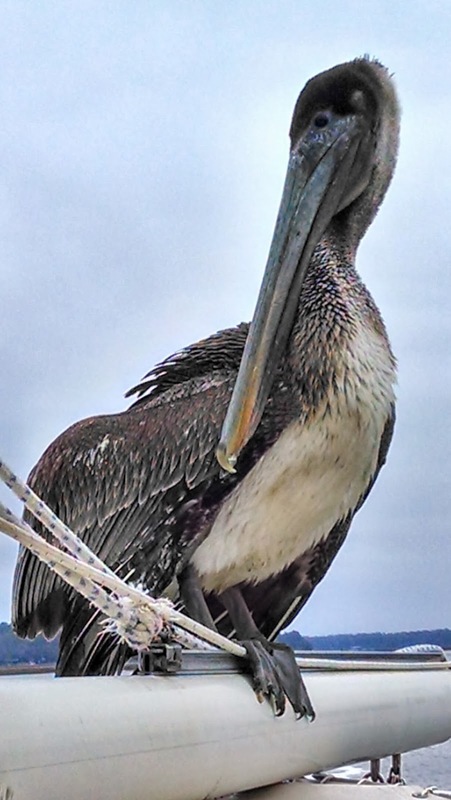 The bird, that looked like a crow with a blue sheen on it's feathers, was sitting on the mizzen spreader and was giving us a concert of all different kinds of noises. Cheeping, tweeting, chirping...It was really amazing! The second day at anchor in the Frederica River, my mom woke Cash and me up to come look at the sunrise and to see the little bird in our cockpit. It was very small, and we all thought at first that it was a baby. It didn't go out of the cockpit, and didn’t seem to be able to fly. We were all very concerned and wanted to help it immediately. However, it wouldn’t let us get close to it, which is sensible if it didn’t know that we were trying to help. Since we wanted to help the bird to get up onto the deck, we used a long, flat deck cushion as a ramp. It tried to scurry up the cushion, but it was a little bit too steep and it kept slipping. We lifted the cushion up a bit while the bird was on it, and it was able to scramble up onto the cockpit seats. We wanted to get it up to the bow, where it would have a better chance to fly, but it couldn't get over the piece that stuck up separating the cockpit and the deck. We tried to scare it over, but it would just run the other way. Eventually, we just ignored it and got ready to haul anchor. We came back to it in a little bit, though, and tried again. My dad finally got it to jump onto the deck. We were all wondering what it would do then, because it couldn’t seem to be able to fly. 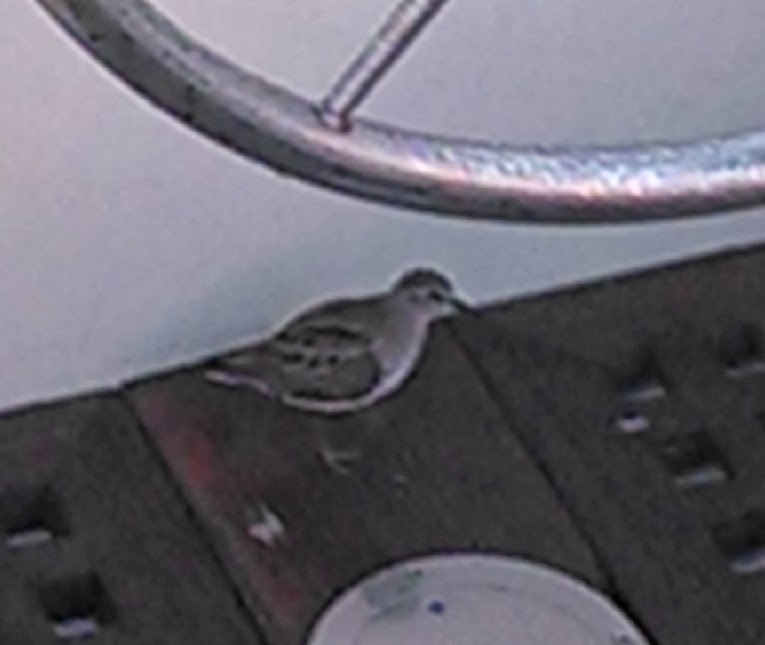 Then, it jumped off the deck and flew away! I guess we were all wrong. We think it needed more room to take off than it had in the cockpit. We are all very glad that it is safe! Recently, I saw a navigation mark with a bird sitting on it. 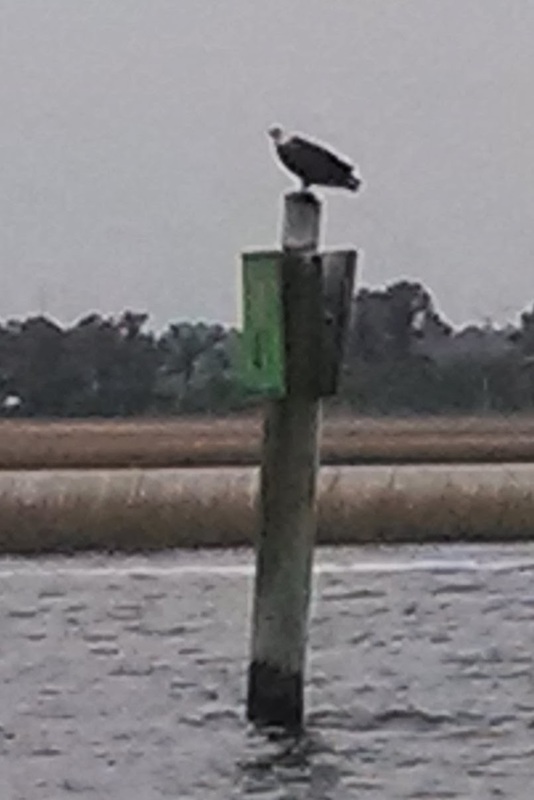 I looked at it through binoculars and I saw that it looked exactly like a bald eagle! It was really awesome, but it looked fierce! Since then, we have seen bald eagles two other times, but only one of them was really fat! As you can see, we've had some special experiences with birds, and I hope to have many in the future!